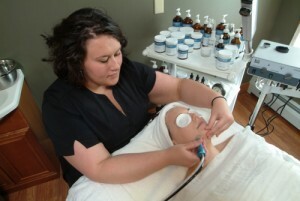 Coventina Day Spa is searching for professional, distinguished, energetic individuals who are ready for a challenge. As Coventina Day Spa continues to expand, we are looking to build on our existing team by hiring talented new candidates who want to grow with us. Coventina Day Spa wants candidates that enjoy spreading great customer service, have a passion for educating and learning the health and wellness industry, and who have a sense of humor. If you are interested in exploring Coventina opportunities, please read the following positions below. You can email your resume and cover letter to director@coventina.com or fax to (814) 796-0308, or feel free to drop it off during normal business hours. Please no phone calls. Looking for Licensed Massage Therapists to work with our wonderful group of professionals. You will walk in to a full appointment book. Full and Part time available. Ready to work in a newly renovated space, with a great group of professionals? We would like to add an experienced hair stylist to our salon – someone with passion for their work and desire to grow their customer base. Spa experience is a big plus, but not necessary. We also have opportunities in the nail room. Please send letter of intent and resume to coventinadayspa@aol.com or drop it off in person at 10747 Peach St, Waterford PA.